I can’t believe Valkyrie is Darquesse and that weird doctor thing called Nye is so freaky. i envy Valkyrie because she has a skeletal assistant, it is a lovely book. this is the one the books after are based around an amazing book. 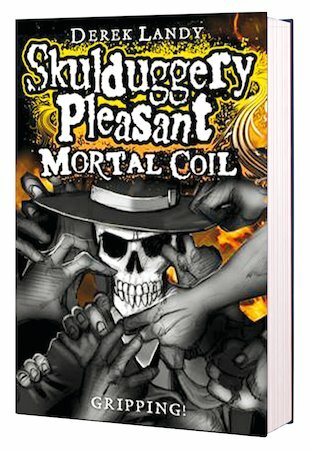 I love all of the skulduggery Pleasant books but this one is one of my favourites. I liked it because I just could not put it down. I loved this book and the rest of the series! My favourite character is China, because she is very intelligent and powerful. I also like Valkryie, as she is often stuck in sticky situations, but finds her way out quite quickly. Derek Landy is and amazing author, and these books just get better and better! Can’t wait till The Death Bringer (book 6) comes out in September! it was a exsalent book and i love it . i got more detail when i read it the second time.